Spacious and inviting, the 2-bedroom Agan IV apartment is a sunlit retreat in the City Center of Jerusalem. The Jaffa Gate entrance to the Old City is a short stroll away (14 min); here, you’ll find many of the world’s most iconic religious and historical sites. 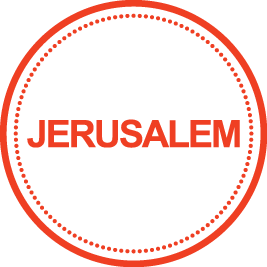 The cafes and shopping of the Ben Yehuda pedestrian mall are only 3 minutes’ walk away. For a lively Middle Eastern experience, walk to the Machane Yehuda bazaar (10 min). Bus and light rail stops are just down the street (3 min). Best of all -- free parking makes it easy to explore the city.